Developed by Spitfire Music, the new horror anthology series enlists the Australian-American hard rock collective THE DEAD DAISIES to provide the music and orchestration for the series, furthering their stance that rock music is indeed alive and well. “With fewer music based platforms playing rock music each year, and taking our love of hard rock and horror into account, we decided to create our own. Streaming services are the delivery systems of the future so stay tuned for Welcome to Daisyland,” states David Edwards from Spitfire Music. 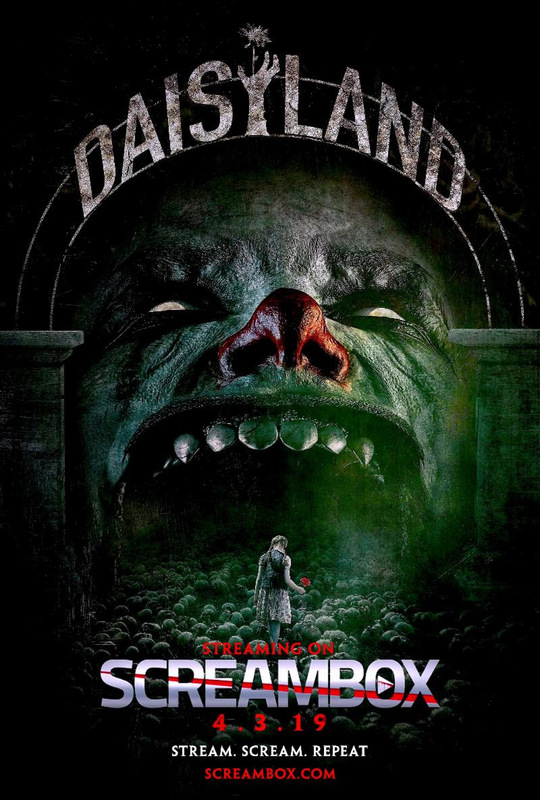 About Screambox TV: Screambox is the leading streaming service for real die-hard horror fans. 400,000+ customers and counting have already joined Screambox, uncovering more than 400 movies and shows every day with new releases added weekly. Visitors can try the service for a free 7-day, no-risk trial. Subscriptions start as low as $2.99 per month and subscribers may cancel at any time. Subscribers can view content on any connected laptop, tablet, or phone, or stream titles using Chromecast, Roku, Amazon Fire, Apple TV, iOS, or Android. Directed by award-winning filmmaker Tony E. Valenzuela(Silverwood, Harper’s Globe, Green Eyed World) and Executive Produced byDavid Edwards (Rock Star INXS) of Spitfire Music, “Welcome to Daisyland” is also being considered for Horror and Short Film Festivals around the globe. Additional cast includes Jessica Amlee (Heartland, Greenhouse Academy), Tru Collins (Insecure, Awkward), Kellan Rhude (The Axe Murders of Villisca, You Can Play), Aaron Groben (Face Off, Comedy Bang Bang), Jarrett Sleeper (Stranger Than Fiction), George Todd McLachlan (Josie) and Sam Aotaki.